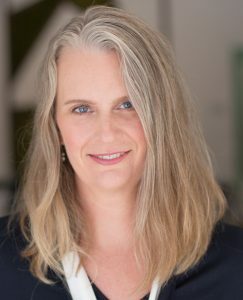 Professor Kristin Andrews, York Research Chair in Animal Minds, serves on a team of philosophers that has filed an amicus brief in New York challenging the lawfulness of the captivity of two chimpanzees, Kiko and Tommy. 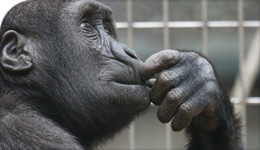 The Brief, which is coauthored by seventeen philosophers, including six Canadians (Andrews, J.G.D Crozier, Sue Donaldson, Andrew Fenton, Will Kymlicka, Letitia Meynell) argues that since chimpanzees can only be categorized under the law as either persons or things, consistent logical reasoning demands we categorize them as persons. In their rulings, the courts introduced four conceptions of personhood (species membership, social contract, community membership, and a capacities conception), and the Philosopher’s Brief maintains that the judges equivocate between these different conceptions of personhood. The NhRP’s case is based on the argument that Tommy and Kiko are autonomous individuals whose interests are not met in their housing situations. Tommy was found living alone in a cage inside a shed on a trailer lot, and Kiko is living alone in a cage in a residential storefront. The Philosopher’s Brief defends the NhRP’s claim that autonomy is sufficient for being a person, but not necessary. For more on this issue, BigThink has a comprehensive article.